We encourage you to search our knowledge base for answers, but if you don't see what you're looking for, then head over here for more help. Click here and fill in the info. 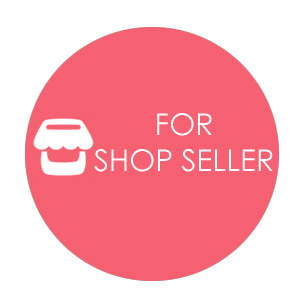 Upon reviewing and your shop is suitable to be setup in our site, your account will be activated within 3 working days. I have a blogshop/website selling my handmade items; can I still set up a shop? Can I sell products that are imported from overseas? The Shop City is an unique platform where people can buy directly from the artists, designers and handmade crafters. Every product is uniquely made / handmade and 100% original. We will not be able to accept shop sellers who buy ready made products* and sell on our platform. *We know there is a possibility the products are handmade however if the design or the idea does not comes from you, we apologized we can't take you in as well - this is to preserve the true spirit of handmade community. For just $9/ month, the Biz Account comes with unlimited products listing. Biz Account holders can also list in our Vintage category and list their events on our site! The Start Up Account is FREE and will comes with 10 products listing. Best of all ? No Selling Fee - that's right every item you sell through us the sale belongs to you so you can return and sell more awesome stuffs! How does the payment come to me? You can indicate up to 3 payment methods that you wish to accept at your shop. Who will deliver the items? What do I need to do after I set up the shop? Constantly update the shop, create new and unique items, upload your item description and pictures and share your shop URL via Facebook, Twitter with your friends to drive the traffic in! Make sure your shop policies are up to date as well! Sign up is free! Click here to register now! 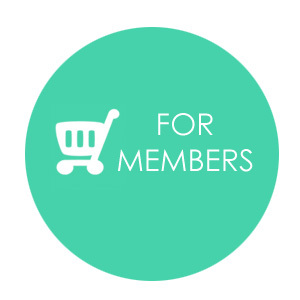 Sign up to become a member of The Shop City and shop as you would normally in an online shopping site! The best part is you can shop across all the shops in The Shop City! When comes to payment, you will need to indicate your preferred payment method for each shop and make your payment individually to each Shop Owner. Except for Cash On Delivery, which you will meet up with the shop owner to collect your items and make your items, all items will be shipped and delivered to your Shipping indicated address. Please read the Shop Owner's shipping and delivery policies. Help! I've purchased something and made a payment to the shop owner but did not receive my items! What should I do? The Shop City wants you to be happy with your buying experience. While we do our best to ensure all Shop Owners to be responsible, please note that The Shop City does not represent the Shop Owners and we are not responsible for the shop policies they have stated in their shop. Please kindly email us and provide us the following. If the Shop Owner does not respond to us 7 working days from the last communication, we will suspend the Shop Owner Account immediately. You can open a dispute within 45 days of making your payment. If your dispute is not resolved or escalated to a claim within 20 days it will be closed. If you opened a dispute but still aren’t able to work out the problem with the Shop Owner, you can escalate your dispute to a claim. This means PayPal will review the case and decide whether you’re eligible for a refund. For more info, please click here. Should you miss the 45 days of filing for dispute or the 20 days of filing for claim, you can lodge a report against the Shop Owner to Consumer Association of Singapore (CASE). The Shop City will assist you by providing the details of the Shop Owner. You can lodge a report against the Shop Owner to Consumer Association of Singapore (CASE). The Shop City will assist you by providing the details of the Shop Owner. Help! I am not satisfied with the whole transaction! I wish to cancel, return, exchange or refund!